Knowing how to think is not a given. Children need to be taught how to think critically, logically and with reason. This is because being intelligent and knowing how to think are not the same thing. The problem is called dysrationalia – the inability to think and behave rationally despite having adequate intelligence. Why is it so important to teach children to think? 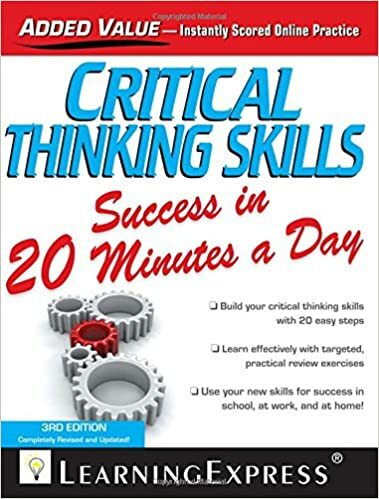 Critical Thinking Skills Success in 20 Minutes a Day – learn the skills to recognise and define problems and sort out unnecessary information to make smart decisions. 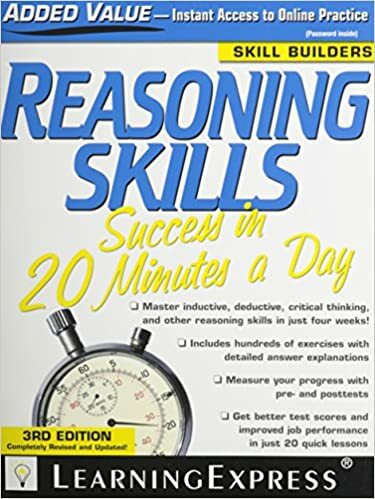 Reasoning Skills Success in 20 Minutes a Day – sharpen the skills for inductive reasoning, logic, and validity of evidence. 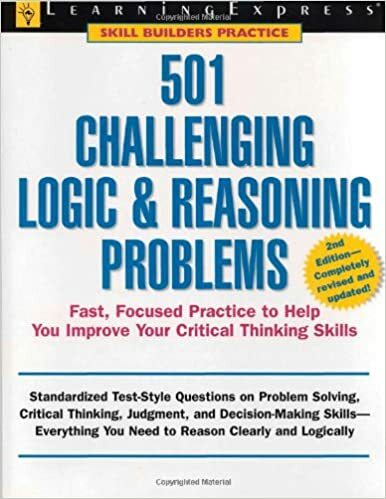 501 Challenging Logic & Reasoning Problems – offers a series of logic and reasoning problems.